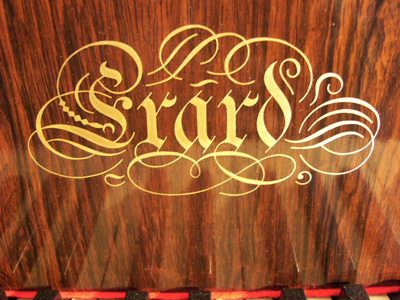 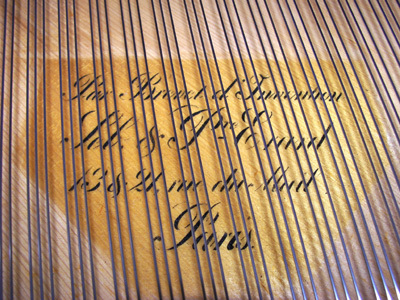 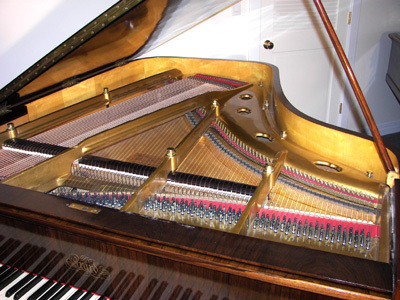 An elegant piano reflecting the fine craftsmanship of the Erard Paris workshop. 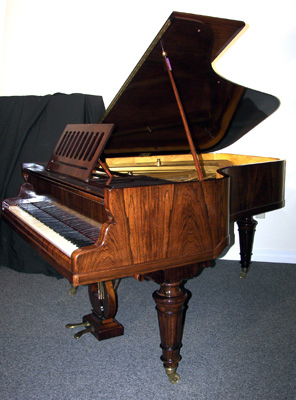 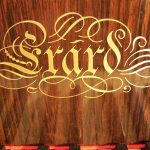 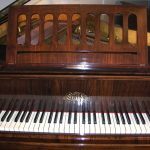 The case is in eye-catching book-matched Palisander Rosewood with a true French Polish to bring out the marvelous graining of this rare wood. 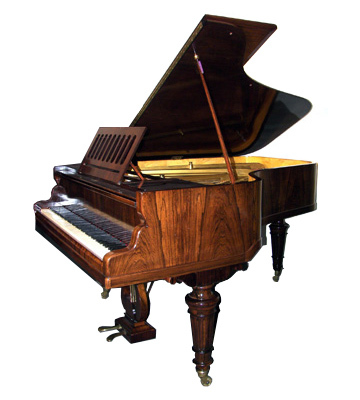 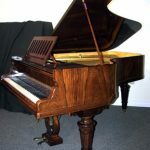 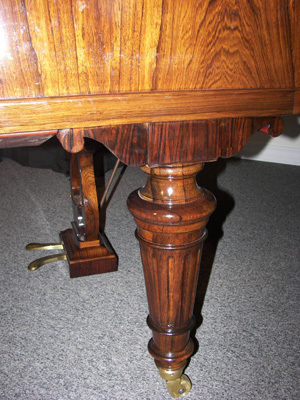 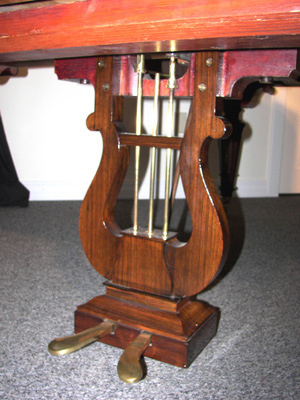 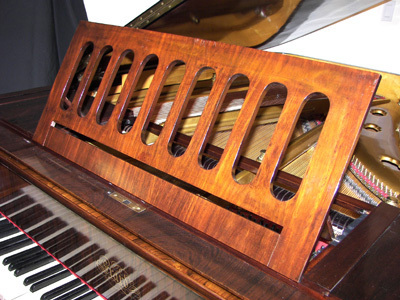 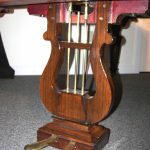 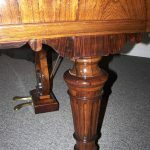 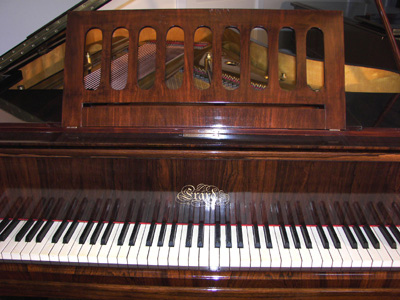 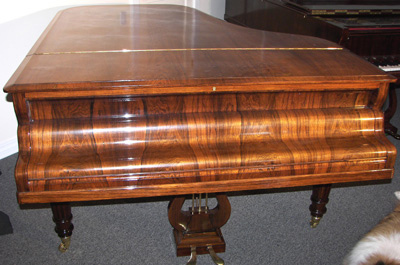 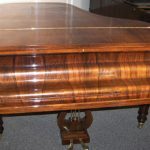 Original period music desk and ivory and ebony keys. 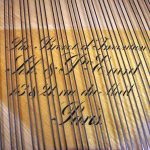 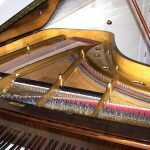 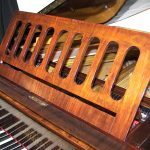 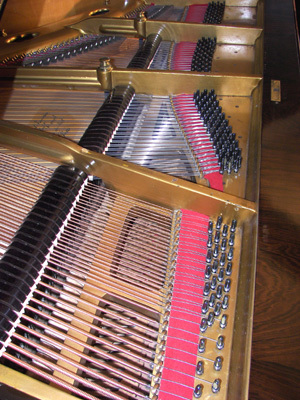 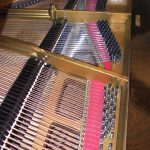 This piano has a full plate, and is a truly fine musical instrument completely up to modern standards and tastes while maintaining the je ne sais quoi of French sound.